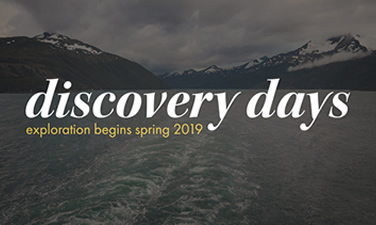 Choice, experiential learning, collaboration, risk taking, growth without grades—these concepts and more will drive Discovery Days, the innovative new Bullis program planned for all divisions in Spring 2019. In a special assembly, the program was launched for Upper School students when Lisa Vardi, director of cross-divisional curriculum, and several Bullis teachers presented an enlightening and very entertaining summary of the program. With energy, excitement, and humor—and aided by props from steel drums to yoga mats, stuffed toys, and snacks—faculty members provided overviews of the 34 Discovery Days courses to be offered to Upper School students next spring. Discovery Days is a time when students and teachers in each division will pause their regular school routines for one week to immerse themselves in unique educational explorations, on and off campus, designed to stimulate imagination, thinking and communication skills, empathy, and more. Students are encouraged to choose courses that appeal to their individual interests, curiosity, and passions. They will dynamically explore fresh new topics, reflect on what they learn, and create a final product to share with others. "Take risks and challenge yourselves to learn something new," Vardi told the students. "It is such a gift that we all get to meet together each day," said Upper School Math Teacher Matt Zimmer, underscoring the vibrant energy and joyful learning inherent in the Discovery Days course offerings. "I am struck by the creative energy and risk-taking of our teachers," said Vardi later of the assembly. "What a talented faculty we have. " Once the teachers completed their onstage presentations—to applause and laughter amid rising anticipation of Discovery Days next spring—Upper School Assistant Principal Kira Orr took the mic. "The goal here," she told the students, "is to explore your passions, to dive deep, and to learn outside the classroom." For now, students will consider the course options and pick their top five choices. "Bullis is our school—but the world is our campus," Orr said. Watch the video of the assembly to learn more about the course offerings!